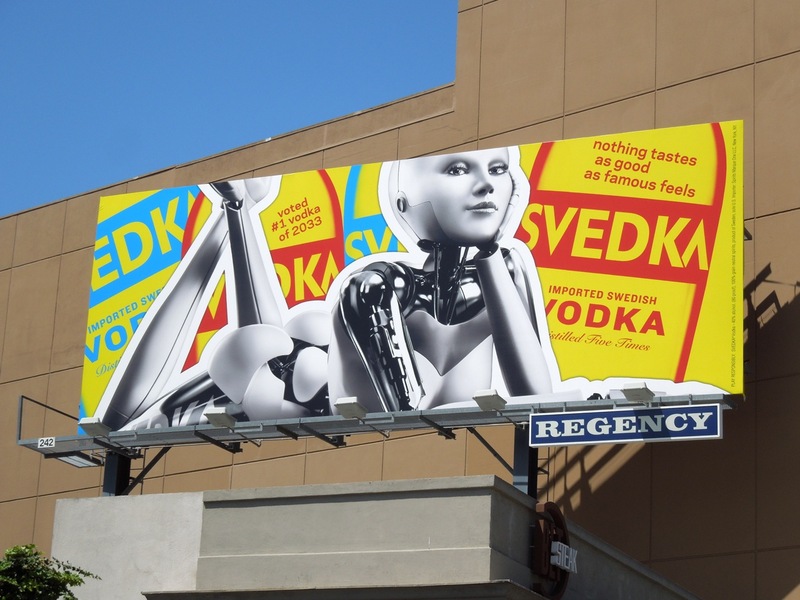 Svedka Vodka's fashionable fembot is back and totally on trend with these bright new neon billboards. 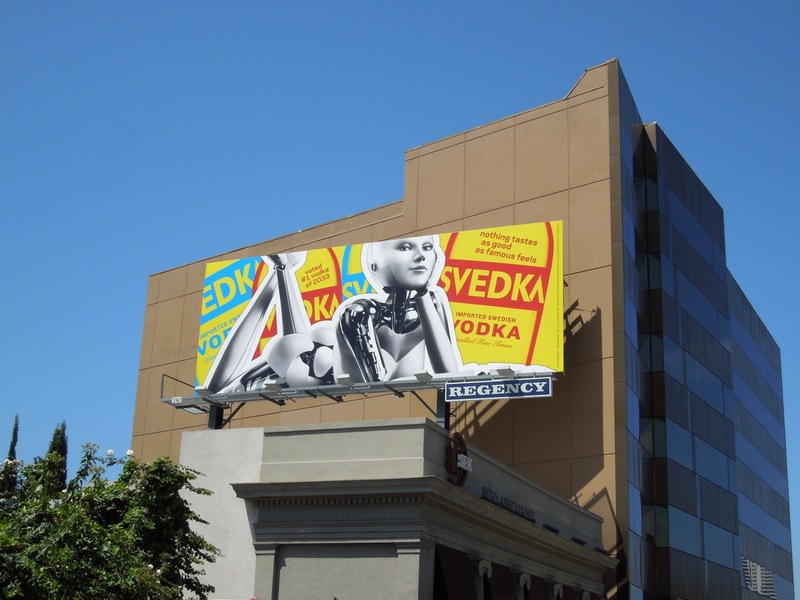 Daily Billboard first noticed her reappearance along Sunset Plaza in West Hollywood on May 22 as she stood out in spectacular style against that clashing neon yellow, blue and red background with the witty tagline 'Nothing tastes as good as famous feels'. 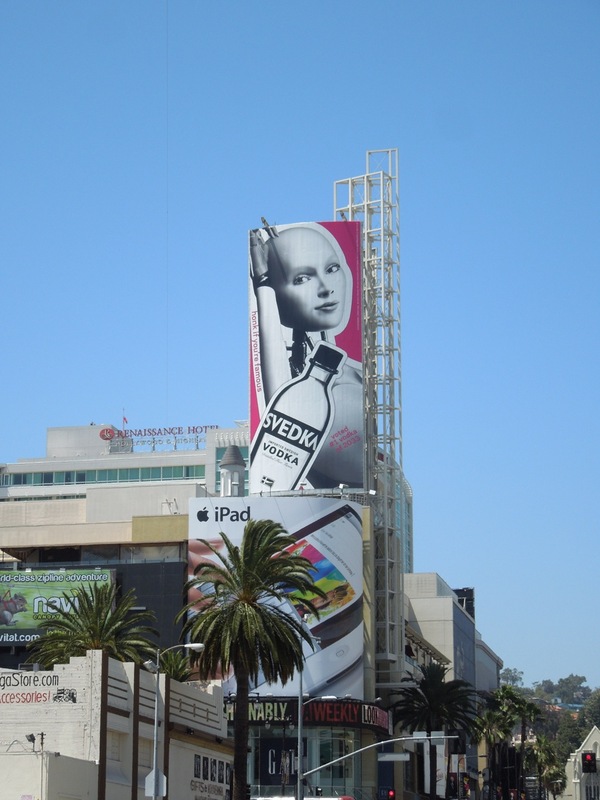 Next she was spotted towering over Hollywood & Highland encouraging passing drivers to 'Honk if you're famous' (although you'd need pretty good eye-sight to see it at a glance) on May 31, 2012. 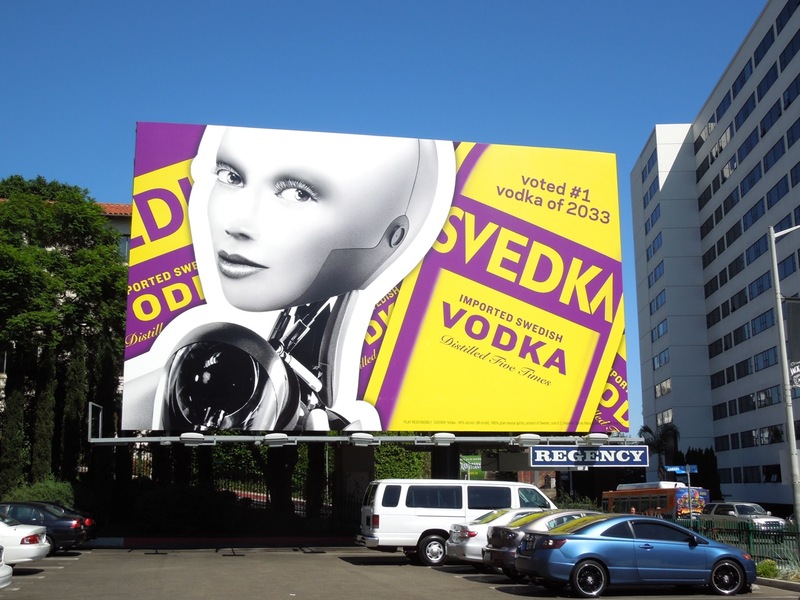 That same day she was sighted in triplicate (or has Daily Billboard been drinking too much vodka?) along Vine Street in Hollywood, literally beaming out at passersby from this tall fluorescent ad. 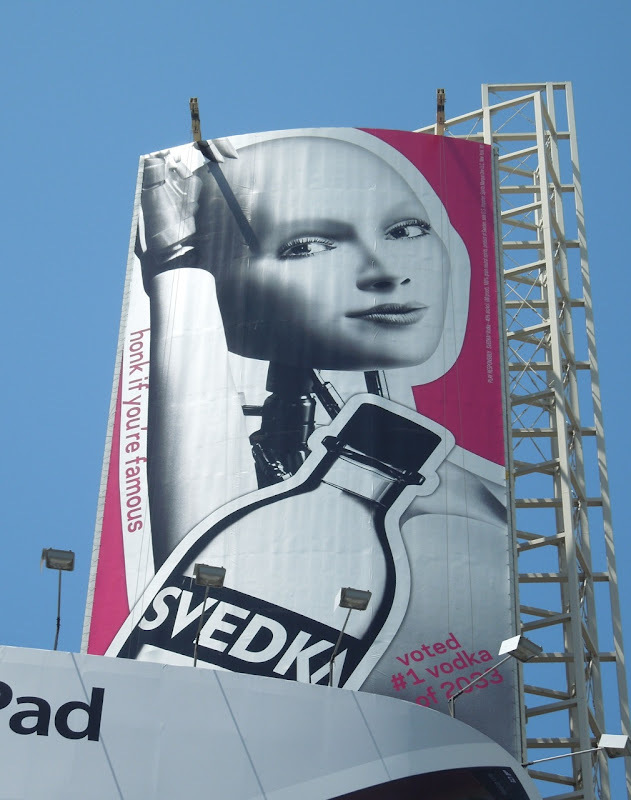 You can't deny, she makes quite an impact and Svedka's branding totally stands out too. If you like this campaign, be sure to also check out Svedka Vodka's 2011 billboards. 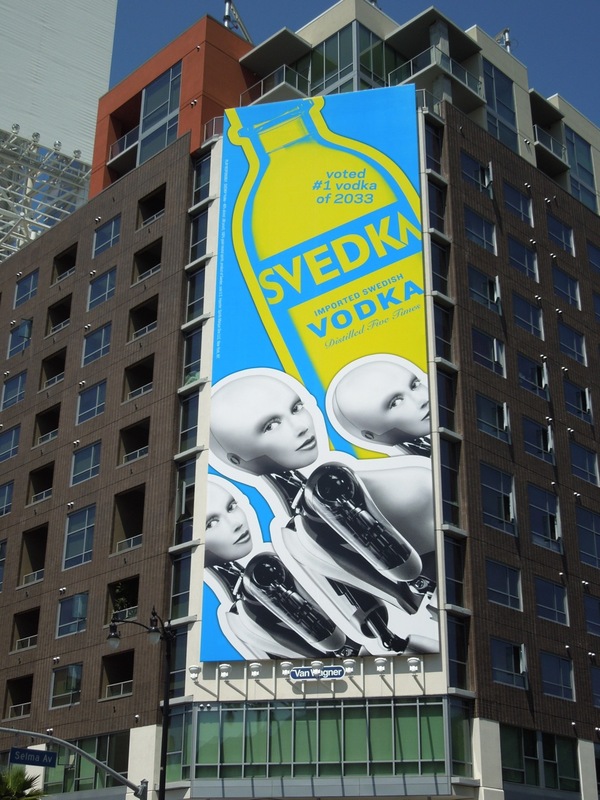 Plus don't forget Svedka's ad campaign from 2009 and 2010 whilst you're at it. 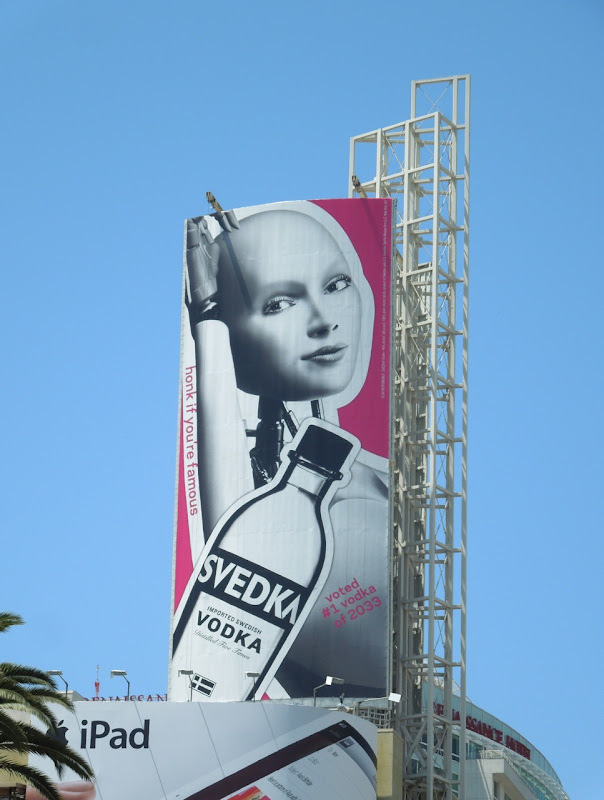 Let Daily Billboard know which billboards are your favorites from the latest creatives to past years, and keep your eyes to the skies as there's sure to be more new creatives as the weeks go by. 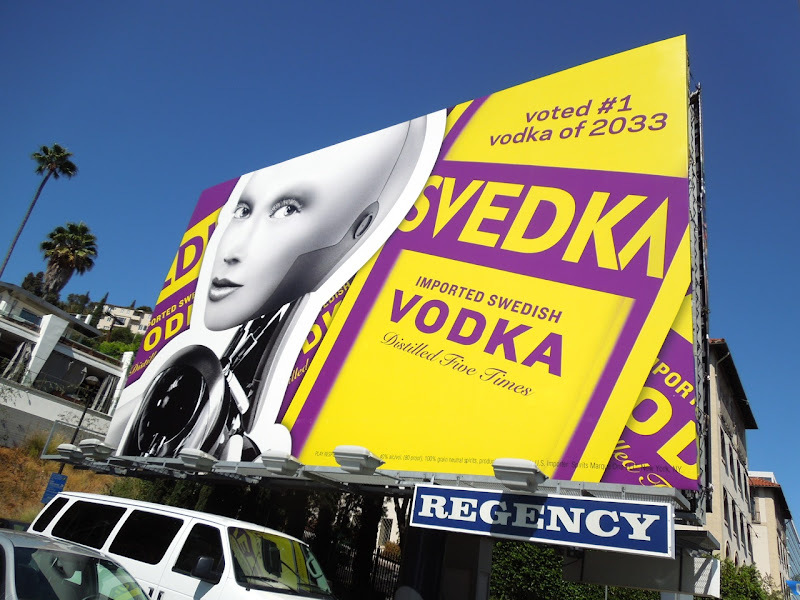 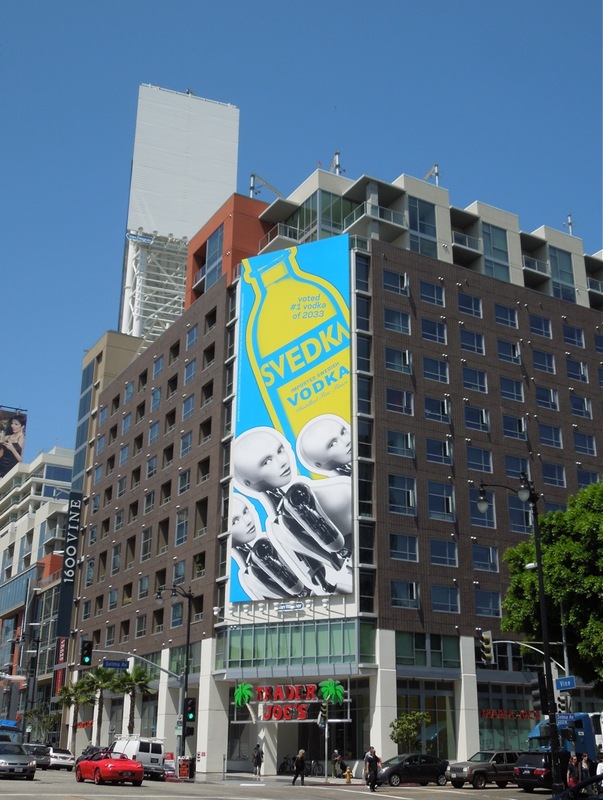 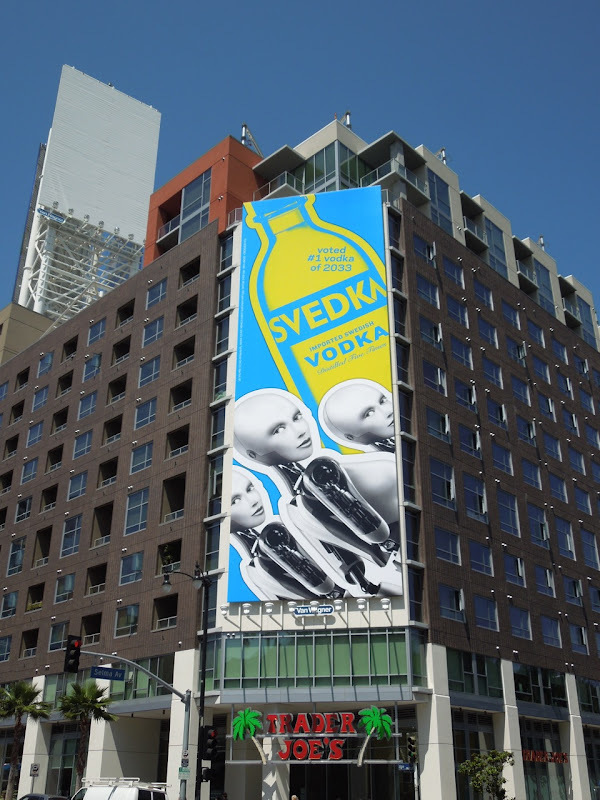 UPDATED: Here's another vibrant ad for Svedka Vodka snapped along Sunset Boulevard in West Hollywood. 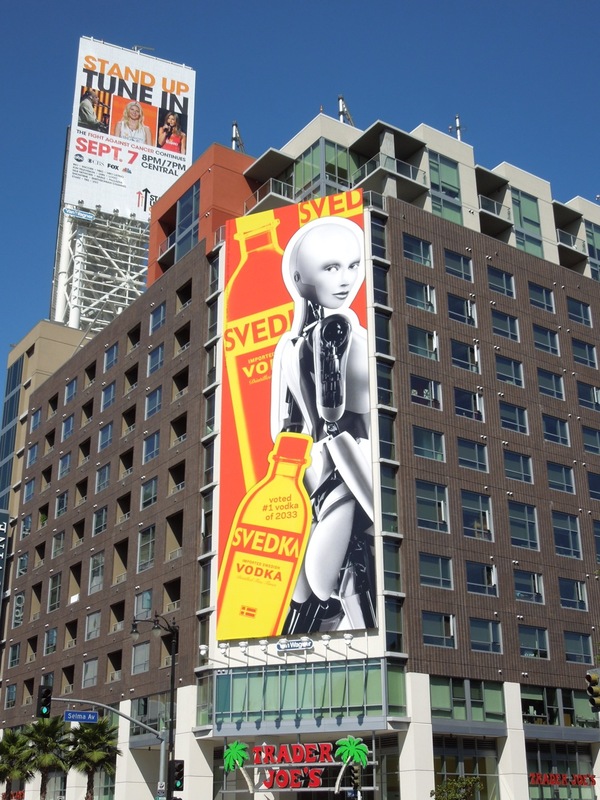 That coy over the shoulder look from the fembot certainly draws you in as you pass by along The Strip. 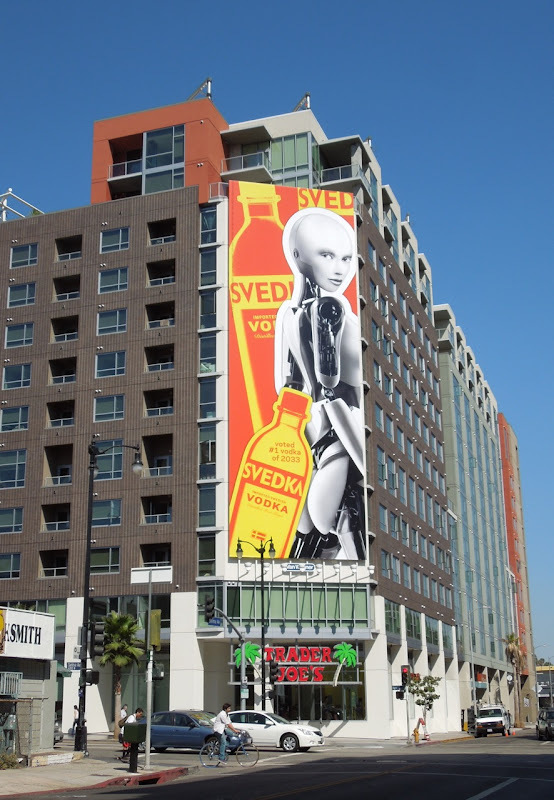 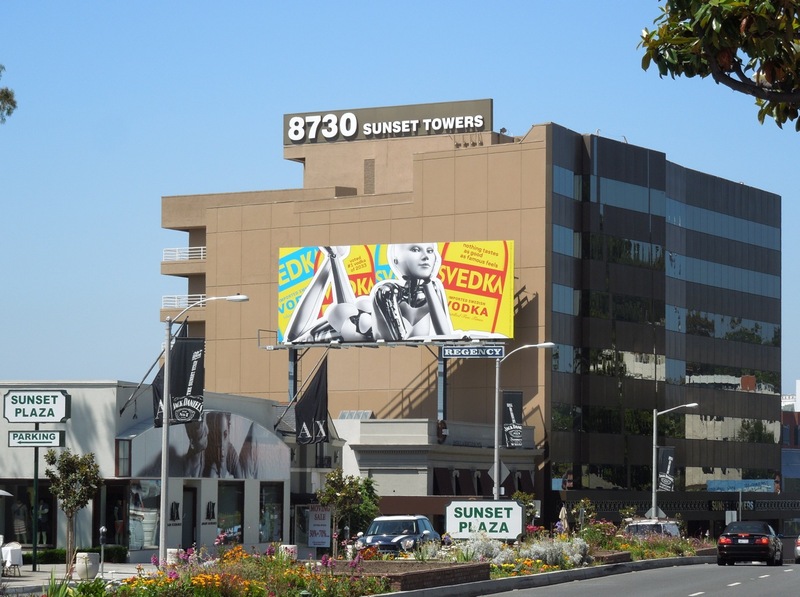 Plus Vine Street in Hollywood had another super-sized billboard shining out like a beacon with its bright colours on September 14, 2012.